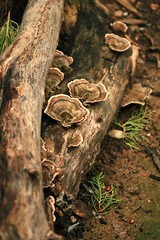 This weekend, I found these fungi growing on a dead tree trunk behind our storage. 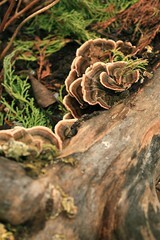 This entry was posted in Uncategorized and tagged fungi, garden, photo. Bookmark the permalink.